So many reader questions come in that are beyond what The Legal Genealogist can answer in this blog, because they’re asking for legal advice. Um… that’s not what this blog is all about. Not what this blog can do. 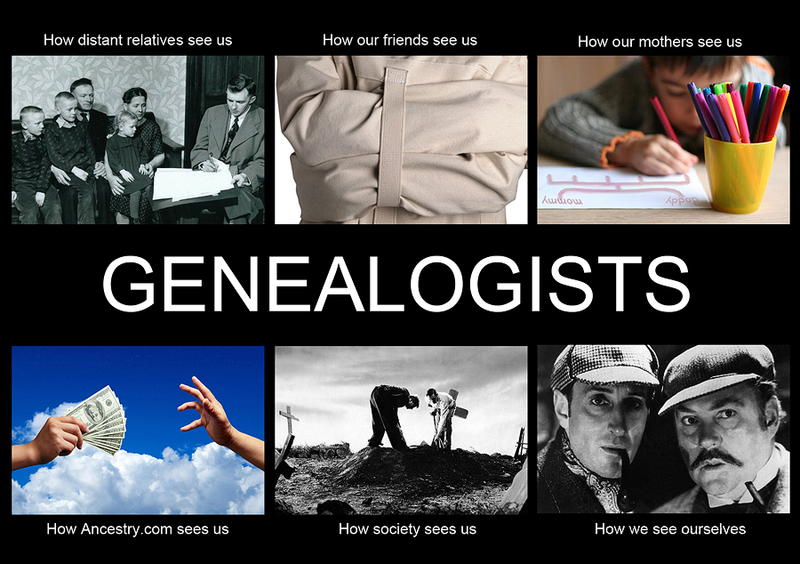 It’s necessary, or at least advisable, to explain every so often some of the limits on what I’m up to here at The Legal Genealogist. You know, the little things, like making sure I don’t get sued and the furniture isn’t trashed in a brawl. The rules of my road. I have a law degree. But I’m not your lawyer. I’m not even in active practice as a lawyer any more. I’m not licensed in your state, and I’m not giving legal advice online. We don’t have an attorney-client relationship, so anything you say can be held against you. If you get sued because of something I say here, I won’t represent you. I won’t even testify for you. I will, however, be enormously amused. Seriously, this blog is general commentary on lots of things, including general commentary on the law. If you’re looking for more than general commentary on the law, you need to consult a lawyer in your home state. If you think this is more than general commentary on the law, you do need to consult a professional… but not of the legal variety. In case you hadn’t noticed, I’m (gasp) human. Which means, at any given time, on any given matter, I could be wrong. If I’m wrong about a fact, I’d like to know it. I hadn’t been blogging three weeks yet before I was delighted when Donn Devine told me about early Delaware statutes I hadn’t been aware of, or, later, when Peter Hirtle set me straight on how the King James Bible is covered by a Crown patent. I wasn’t quite so happy to discover that a bunch of the links in yesterday’s calendar blog post were just wrong and had to be corrected. But… sigh… I’m human. So tell me when you know more than I do or I’ve just plain goofed. As to everything else, don’t buy what I say uncritically; check the sources I cite and make your own decisions. You may well come to a different conclusion. It appears that the extreme fringes of the political spectrum have people sitting out there, trolling every single nook and cranny of the Internet, looking for places where they can pop up and spew their conspiracy theories. The 2016 election has only made it worse. Play nice. We’re not all ever going to agree with each other on everything. But disagreeing doesn’t have to be disagreeable. So no personal attacks, ever. And last but hardly least, I pay the bills for this website. I don’t accept advertising and I don’t charge admission. Which means that this is my turf. Which means that I get to set the rules. So no, I’m probably not making your comment live if you don’t provide a real email address. I can stop you from commenting if I think you’re being an annoying pest. I really don’t have to talk about an issue if I choose not to. And I don’t have to stop talking about something that I do want to talk about (that includes the very very few times I can’t help myself from saying something you might construe as political). Your freedom of speech doesn’t mean that you can interfere with mine. It means that you’re free to do exactly the same thing … on any website where you pay the bills and you set the rules. Awwww… thanks, Schelly! Right back atcha! Judy, you are a breath of fresh air. Your comments are on point and absolutely correct. You should probably reprint this 3 or 4 times a year. And I agree with Shelly. Thanks so much for the kind words, Dotty! I love that you always speak your mind and do it in such a straight forward manner. It truly is a “breath of fresh air” as Dotty Dill said. I hope I run into you at SLIG even though I am not in your course. Thanks for the kind words, Dawn, and yes, let’s see if we can’t hook up at least briefly at SLIG! “My turf. My rules” I love it, Judy! It reminds me of a high school history teacher who used to say, “Your right to punch me stops where my nose starts.” Thanks for sharing your knowledge with us all! I love that saying too — we heard it as “your right to swing your fist ends where my nose begins”!